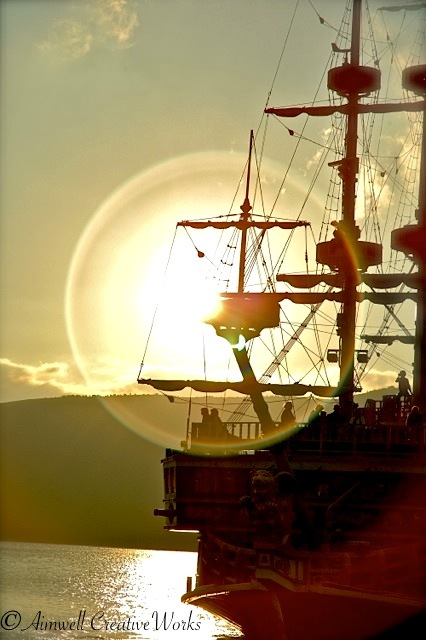 Tall ships are full of lines and geometry. So beautiful in form and substance. 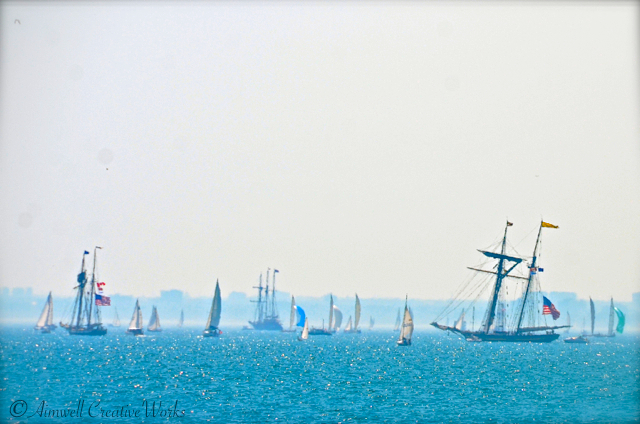 These are random images captured on a hot day at a Tall Ships event in Toronto Harbour, June 2013. I was so fortunate to be on the water in a friend’s motorboat for this experience. 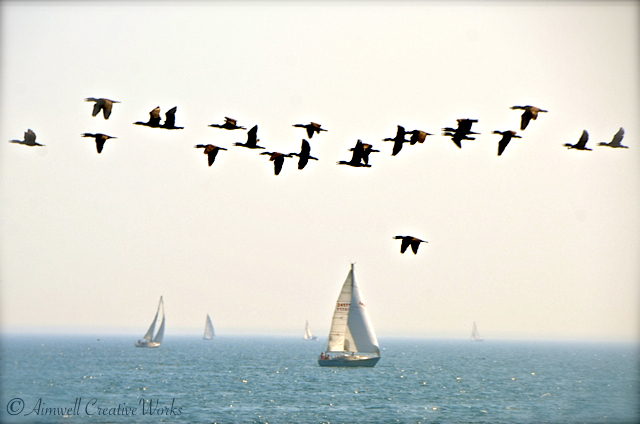 Last summer I had an opportunity to go boating on Lake Ontario when the tall ships, and other sailing vessels, were bounding around Toronto harbour. 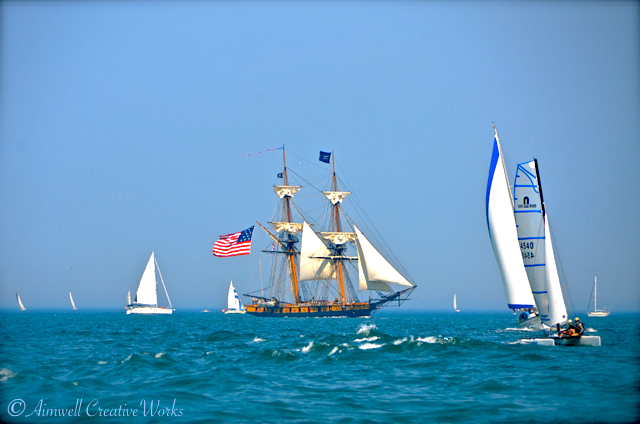 More Tall Ships on the Horizon. An image featured a couple of years ago in this blog, but worth repeating for the purpose of this photo challenge. This is my final NaPoBloMo contribution. Granted, not completely original but it’s the best I could produce while feeling under the weather … again. 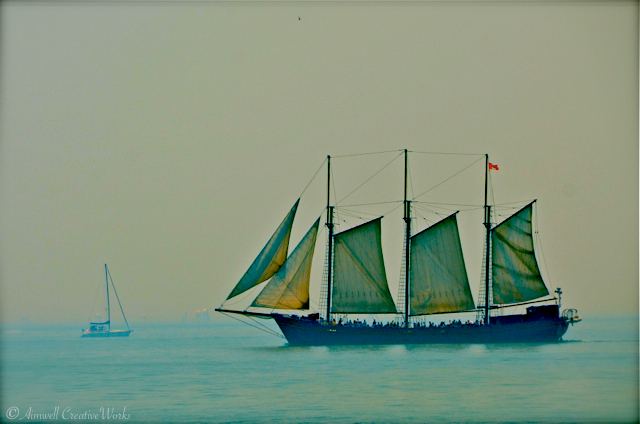 As promised, more images from our fabulous day out on the waters of Lake Ontario during the Tall Ships festival in Toronto last month. There’s poetry in these majestic travellers of the sea. Whose sails buffet and billow the wind’s hot kiss. But for the buoyant elegance of the mighty Tall Ships.